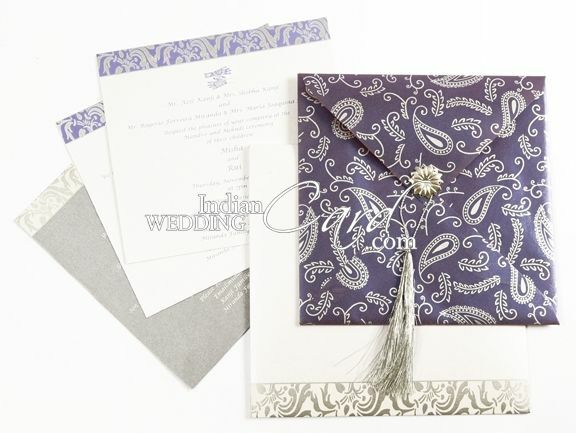 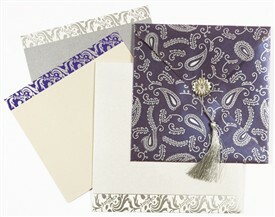 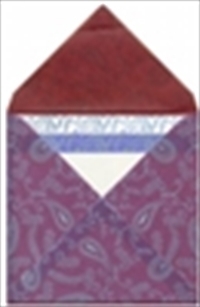 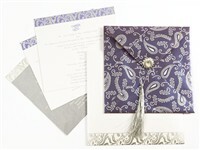 D-4881, Purple Color, Shimmery Finish Paper, Designer Multifaith Invitations. 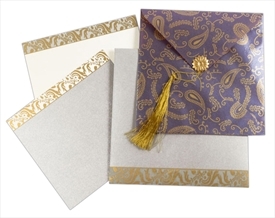 Purple color shimmery finish translucent paper (80gsm) for jacket type card. 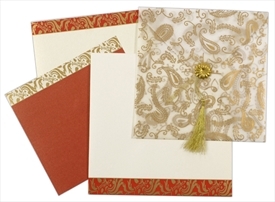 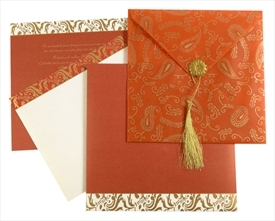 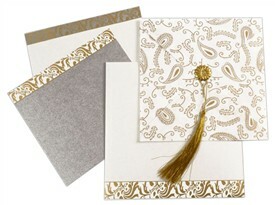 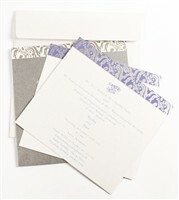 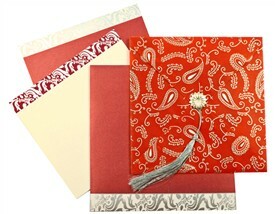 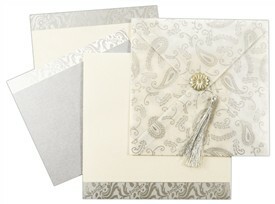 2 Shimmery paper (250gsm) inserts – one each in Cream and silver. 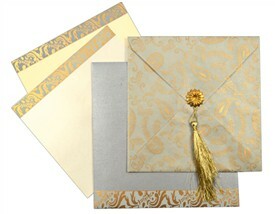 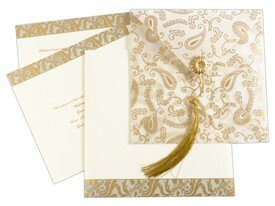 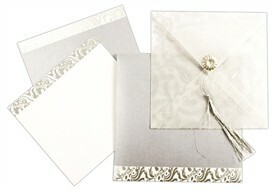 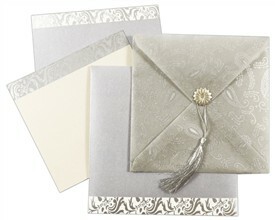 Mailing envelope in White shimmery paper (250gsm). 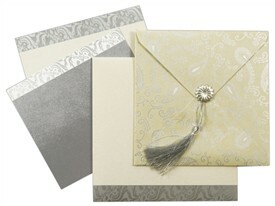 Silk Screen printing in Grey & Silver color.